Adds thousands of new classes to Xojo. (was Real Studio MBS Plugins). Xojo MBS Plugins (was Real Studio MBS Plugins) adds more than 55,000 functions, methods, and classes to Xojo. If you're still using Real Studio, see 'Related Links' below for access to those plug-ins. Fixed a regression on SQL prepared statement with error: "dictionary is nil"
This Xojo release has over 170 changes and improvements, with a major focus on Windows support and the IDE. Windows HiDPI support is finalized. Windows Graphics subsystem now uses Direct2D and DirectWrite for improved drawing speed and modern graphics support. Windows builds now have a setting to automatically include Universal Windows Runtime DLLs. You can now easily convert Pictures (in Desktop and Web projects) to Image Sets. Improved Extract Method refactoring tool. Improved IDE tab handling with Back/Forward support. WebContainers can now have Horizontal and/or Vertical scrollbars. Introspection now works with Interface types. Beta of new IDE Communication protocol for automating Xojo builds. Popular cross-platform development tool launches new release with HiDPI support on Windows and hardware accelerated graphics for improved drawing speed. 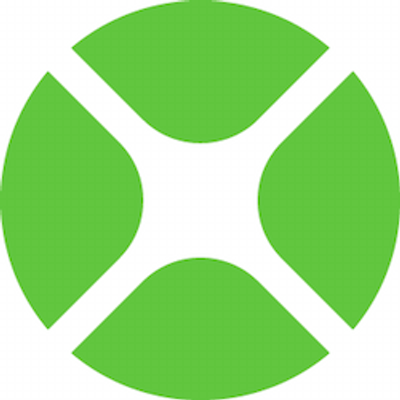 AUSTIN, TX, USA (December 6, 2016) — Xojo, Inc., the company that has enabled over 315,000 developers to build native cross-platform applications, today announced the availability of Xojo 2016 Release 4. 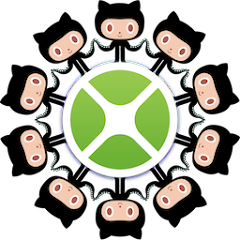 Xojo is a rapid application development tool for making apps for the desktop (macOS, Windows and Linux), web, iOS, and Raspberry Pi. The latest release adds major improvements on Windows, like HiDPI support and hardware accelerated graphics, along with more than 129 total improvements and 9 new features. Xojo Cloud is a one-click web app hosting platform for Xojo applications which boasts ease of use, extreme security and is maintenance-free, so developers can focus on the functionality of their application and not worry about the complicated details of configuring their own server. Unlike most hosting services that come with no additional security, Xojo Cloud comes with industrial-strength security at no additional cost, like an adaptive firewall, intrusion detection, file change detection and Security-Enhanced Linux. A free, time-unlimited trial of Xojo is available from www.xojo.com/download. For information on pricing and licensing options, please visit http://www.xojo.com/store. Xojo, Inc. was founded with the idea that software development should be accessible to anyone. With traditional tools, creating software applications can be a very complicated process, but using Xojo anyone can learn to create high quality, native apps for the desktop, web, mobile and Raspberry Pi. With users all over the world, Xojo apps can be found in every conceivable category - from commercial software applications to use in governments, universities, businesses, and the Fortune 500. 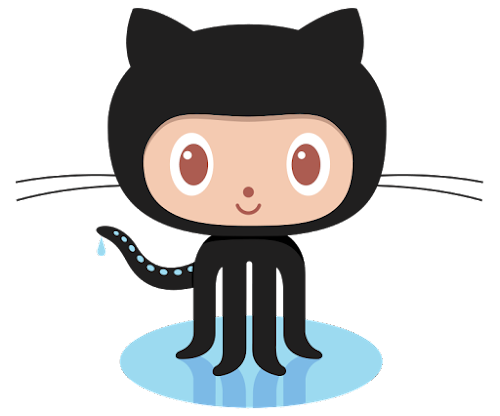 The Xojo programming environment is developed and commercially marketed by Xojo, Inc of Austin, Texas for software development targeting Mac OS X, Microsoft Windows, Linux, iOS, the Web and Raspberry Pi. Xojo uses a proprietary object-oriented BASIC dialect, also known as Xojo. In 1997 FYI Software, founded by Geoff Perlman, bought CrossBasic, which had been marketed by its author Andrew Barry as a shareware product. CrossBasic got its name from its ability to compile the same programming code for Mac OS and the Java virtual machine (although the integrated development environment was Mac only). A public beta was released in April 1996. The CrossBasic name was trademarked by another company, so the product was renamed REALbasic. Prior to REALbasic version 2, the Java target was dropped and later replaced with a Windows target and database support. Windows builds contained many bugs when finally released, and it was very difficult to write applications that ran on both Mac OS and Windows. The option to compile for Linux was added in 2005 and the IDE was ported to Windows and as a free public beta for Linux platforms. 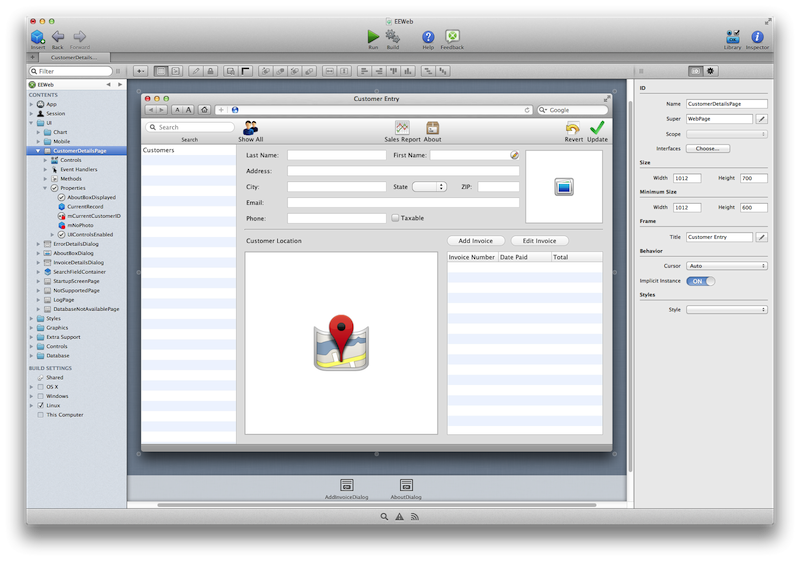 The new IDE sported a new user interface redesigned to more closely resemble Xcode. In 2004 REAL software announced the "Made with REALbasic Showcase" program to highlight applications created with the product. In 2009, a migration assistant was launched to help move code from Visual Basic. In 2010, to combat the perception that REALbasic was similar to the original BASIC, it was renamed Real Studio. Real Software also announced Real Studio Web Edition, allowing developers to compile web applications without the knowledge of multiple web technologies. On June 4, 2013 Real Software officially changed their name to Xojo, Inc. and Real Studio was renamed Xojo. Also on this date they released Xojo 2013 Release 1 which included an all-new user interface, full support for Cocoa on OS X, improved support for web applications, all new documentation and a new "Introduction to Programming Using Xojo" textbook that was designed for beginners to learn the fundamentals of object oriented programming. Despite the multiple name changes, Xojo continues to be associated with the BASIC language, and Xojo, Inc. calls it "the spiritual successor to Visual BASIC". The Xojo IDE is currently available for Microsoft Windows, Mac OS X, 32-bit x86 Linux, and can compile 32-bit and 64-bit applications for Windows (Windows XP and higher), Mac OS X (running on Intel-based Macs using the Cocoa frameworks), x86 Linux, iOS, the web, and Raspberry Pi. Xojo is self-hosted: the Xojo IDE is built with the current release of Xojo. The 2015r3 release includes 64-bit support for Desktop, Web and Console targets as well as a new platform, Raspberry Pi. In 2016 Xojo was awarded the Big Innovation Award from the Business Intelligence Group for being an "innovative" development tool that has "brought new ideas to life". The Xojo IDE is free to use for learning and development. Compiling or deploying applications with Xojo requires a license. Multiple license levels are available for purchase, enabling Desktop, Web and iOS. Licenses can be purchased a la carte, in any combination required. Also available is Xojo Pro, which is a bundle that includes added support, guaranteed beta program access, access to a special Xojo Pro-only forum, 3x Feedback multiplier when ranking support cases, access to consulting leads, and a license that will work on 3 machines. Unlike most programming environments, project source code is not stored in plain text files by default, but in a proprietary, single file format. However, source code can be saved to a plain-text format for use with version control systems and can be exported to XML format as well. On March 11, 2014 Xojo launched Xojo Cloud, their cloud hosting service for Xojo web applications. 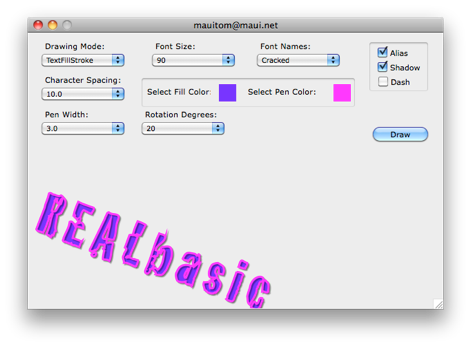 This is a Mac only REALbasic class that will give you the ability to draw text in a Rb Canvas with more control and functionality using the Core Graphics framework in OS X. The class is free, but is encrypted. The download includes a demo project. The class allows you to set the following. *Character Spacing (single). The default setting is 0.25. *Dash (Boolean). The pen style on TextFillStroke Fonts can be drawn with a dashed styled. The default setting is False. *Drawing Mode (String). This setting determines the style of the font drawn. Available settings are, Text Fill, Text Stroke, Text Fill Stroke. The default setting is Text Fill. 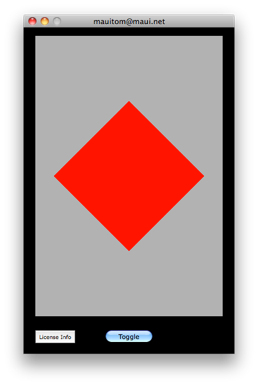 *Fill Alpha (single). The color of the fill can be assigned an alpha value. The default setting is 1.0. *Fill Color (color). The color of the fill can be assigned a color. The default setting is black. *Font Name (string). You can assign the PostScript name of the font family. he default setting is “Verdana”. *Font Size (single). You can assign the size of the font to be drawn. The default setting is 11.0. *Pen Alpha (single). The pen alpha value can be assigned a value. The default setting is 1.0. *Pen Color (color). The color of the pen can be assigned a color. The default setting is black. *Pen Width (single). The pen width can be assigned a value. The default setting is 0.50. *Rotate (single). The entire CGText object can be rotated. Positive values rotate clockwise. The default setting is 0.0. *ScaleX (single). The entire CGText object can be scaled in the X direction. The default setting is 1.0. *ScaleY (single). The entire CGText object can be scaled in the Y direction. The default setting is 1.0. *Shadow (Boolean). The entire CGText object can given a shadow object. The default settings is False. When set to true the values for the shadow are, offset width 3.0, offset height -3.0 and blur value of 1.0. *Should Alias (Boolean). The CGText object can be drawn without anti alias, i.e. jaggies. The default settings is False. *Text (String). This is the text that the CGText object will draw. The default settings is empty (“”). *Draw (Method). This is the method you call to show your CGText object. This Method should be called in the Paint Event of its associated Canvas. *Constructor (Canvas). The CGText object is created by passing it the Rb Canvas you want it to be drawn in. 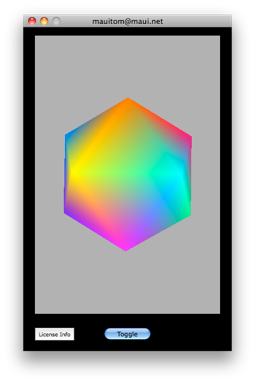 This is an OpenGL project that ports the Xcode projects from Jeff LaMarche. Jeff has a fantastic series of tutorials about learning OpenGL on the iPhone. Please see the URL listed in the project file. You can now follow along on your desktop using REALbasic, using this project as a guide on how to adapt the code Jeff posts. The iPhone because of it limited memory uses a subset of the full OpenGL functions on the desktop. The iPhone uses a more modern approach to funneling the geometry via array pointers, MemoryBlocks in REALbasic. The original method of learning OpenGL using your drawing calls between the GLBegin and GLEnd calls is soon to be deprecated, so learning arrays is the way to go if you want to stay current with the OpenGL renderer. I wrote this on my Mac and have not run it on a PC. The methods used to pack everything in to MemoryBlocks is done crudely. It should give you some idea’s on how to optimize with classes to get things done in a object oriented manner. The download has 13 different projects through Lesson 4.